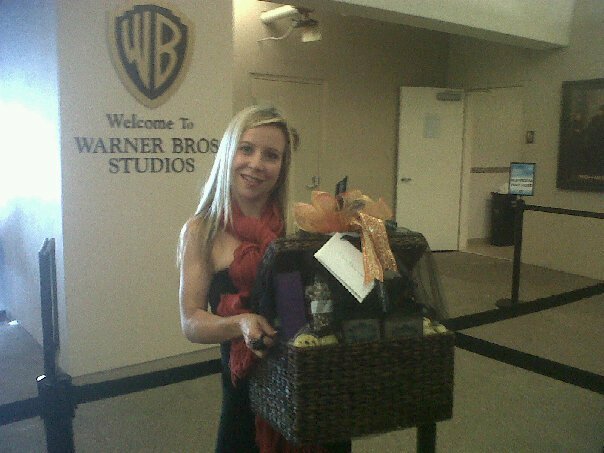 Kelly Preston Baby Basket — with Judith Galindo,Erin KrinklzBaby, Carla Masterson, Christine Agro and Lisa Gal Bianchi. Celine Dion‘s twins are two very lucky babies. 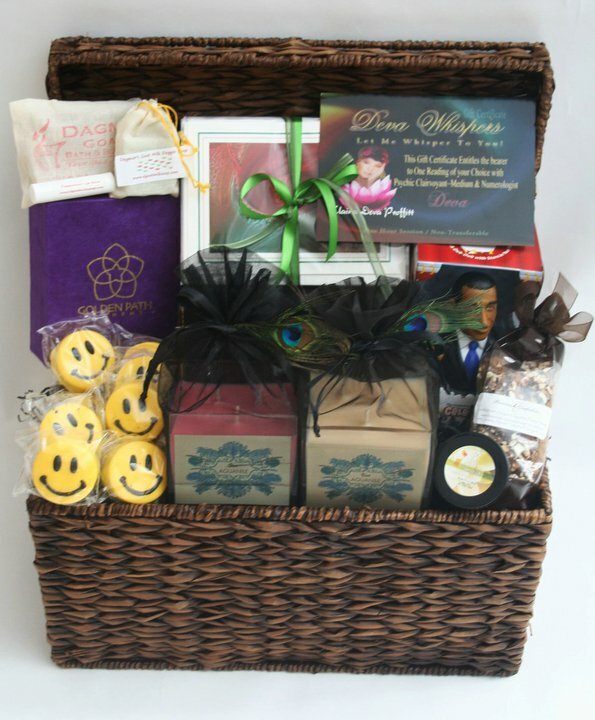 Not only is their mom a talented and successful singer, but they were recently gifted a luxe basket from Hollywood Baskets, which featured loads of kid- (and mom-) friendly goodies. It included a Mama Taco Towel from the Baby Flamingo Company, a wonderful poncho set from Purple Turtle, an autographed copy of What’s on the Other Side of the Rainbow, cozy baby products fromThe Baby Walton Company, yummy chocolate oreo treats from Veronica’s Treats, wisdom cards by The Conscious Living Guide and luxe skin products by Golden Path Alchemy. And that’s not all. 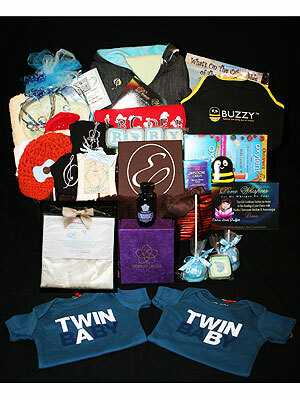 It also included a gift certificate from Pour it Forward, a celebrity psychic reading with Deva Whispers, Oxylent vitamin supplements for mom, a natural pain-relief device for kids taking shots from Buzzy 4 Shots, hand stamped jewelry from Charmies Online, adorable onesies from Snug Attack, beautiful scented satchets by Anna’s Trunk, fun mini T-shirts from Bright Baby Tees, a gorgeous handmade oufit from Rocking Horse Lane and cute embellished onesies from Embelysh. Want one for you and your tot? You’re in luck! 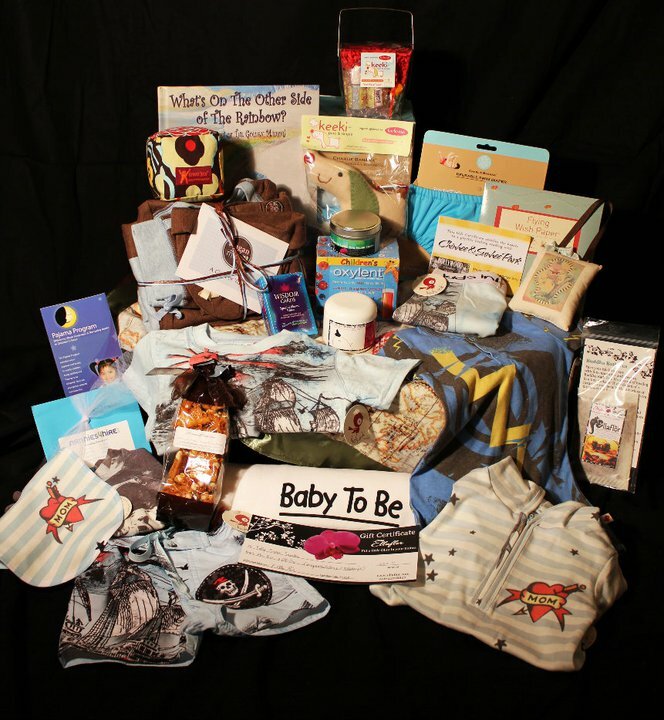 Hollywood Baskets is giving the same basket away to one lucky Moms & Babies reader. 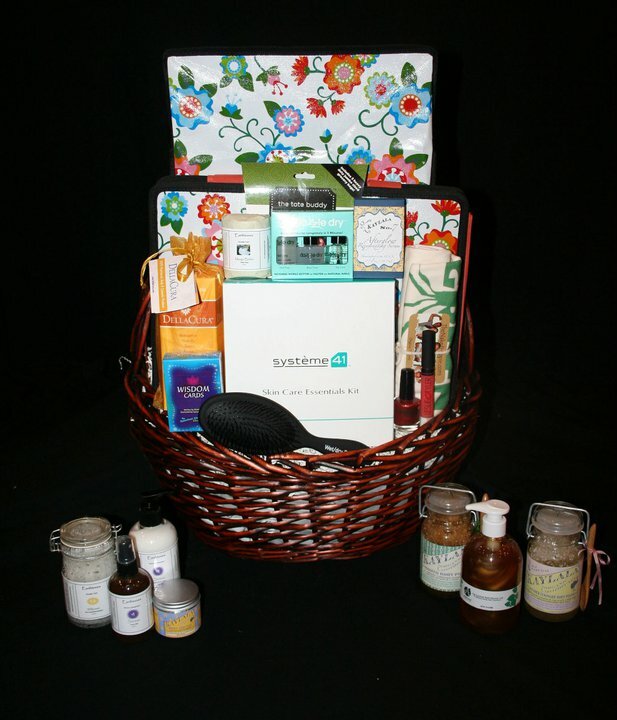 Hurry up and enter for your chance to win! 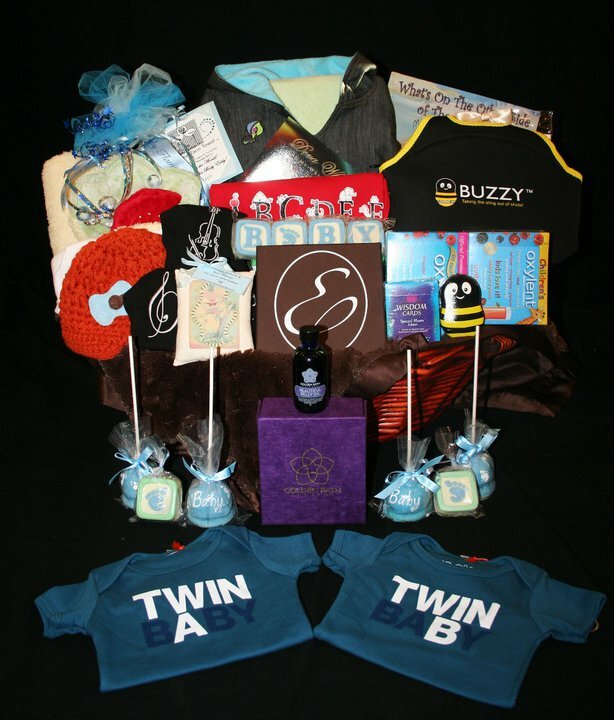 Online entries must be received between 12:01 a.m. Eastern Time (“ET”) on 1/10/11 and 11:59 p.m. (ET) on 1/16/11. See Official Rules.